Can We Talk For a Minute About the Nuclear Threat? Here in the shebeen, we’ve been talking a lot about fear, reasoning, and unreasoning these days. The other night, my son recalled a story he’d heard from his high school social studies teacher, a guy who’d grown up around Worcester a half-generation ahead of me. At one point, somebody published a list of the Soviet Union’s first-strike targets in the event of a nuclear war. Worcester was fifth place on the list, probably because it was where the Wyman-Gordon Company made the engines for the B-52 bomber. (Was this a genuine story, or a plant from U.S. intelligence? It hardly matters now.) Some local wags made up buttons that said, “We’re Number 5!” I do remember the list coming back into the news during the two nervous weeks of the Cuban Missile Crisis. Call me a sucker for boomer nostalgia, but a bunch of guys in second-hand pickup trucks still don’t scare me as much as the fact that there’s a death-load of nuclear material and nuclear weapons still floating around out there on a somewhat open market. Comes now William Perry, a former Secretary of Defense, to share my concerns. Perry’s warnings come not long after a Republican presidential debate in which the nuclear “Triad” once again became a thing because it was clear that He, Trump didn’t know fck-all about it. The other candidates—especially Chris Christie and Marco Rubio—leaped in and joined in a call for a new, modernized Cold War. This is exactly what scares the hell out of William Perry. Perry thinks the US nuclear force no longer needs land-based intercontinental ballistic missiles, or ICBMs, and can rely on the other two ”legs” of the force—bomber aircraft and submarine-based missiles. ICBMs should be scrapped, he says, adding, ”I don’t think it’s going to happen, but I think it should happen. They’re not needed.” He opposes the Obama administration’s plan to build a nuclear-capable cruise missile. He looks at Russia’s nuclear modernization and US plans to spend hundreds of billions to update its nuclear arsenal and sees irrational competition. ”I see an imperative to stop this damn nuclear race before it gets underway again, not just for the cost but for the danger it puts all of us in,” he said. This puts Perry far ahead of our national politics on this subject which, when they deal with nuclear weapons at all, largely talk about them in the context of the “war” on terror, of suitcase bombs and deadly container ships. Perry is properly concerned with these scenarios, but he’s also sending up flares to the effect that the United States and Russia may be careering toward the days of Fail Safe and Dr. Strangelove again, the days of accidental apocalypse. In his first book, co-authored in 1999 with the man now running the Pentagon, Ash Carter, Perry argued that the demise of the Soviet system meant nuclear disaster was no longer an ”A List” threat. By 2014, his optimism faded, in part because of the collapse of cooperative relations between Washington and Moscow, which ended any realistic prospect of arms control agreements and, in his view, has put the countries on a dangerous path toward confrontation. ”We are facing nuclear dangers today that are in fact more likely to erupt into a nuclear conflict than during the Cold War,’‘ Perry said in a recent speech. A soft-spoken man not given to hyperbole, he is on a crusade to persuade people that nothing less than the future of civilization is at stake. What worries him most is few seem to notice. ”Our chief peril is that the poised nuclear doom, much of it hidden beneath the seas and in remote badlands, is too far out of the public consciousness,’‘ he wrote in his memoir. This one goes on the must-read list for 2016. It’s time to differentiate between the real threats and the monsters that lurk in the hedgerows of the Id. I wonder where Worcester is on the list these days. Yellowcake uranium. Asia’s burgeoning nuclear energy industry fuelling demand for the radioactive metal. Despite reactor closures in Europe and the US, the global outlook for uranium looks bright, with Asia’s burgeoning nuclear energy industry fueling demand for the radioactive metal. Australia’s uranium market is also set for a bright future, with a strong possibility of new mines opening in Western Australia provided global demand strengthens as forecast. And, as with so many of the world’s minerals, Chinese demand is a key driver. A recent commodities research note from Macquarie Bank called uranium the “best mined commodity of 2015”. China, India, Korea and Russia were the engines of growth in the industry, said Macquarie, expected to contribute 70 per cent of new reactors by 2030. Furthermore, Japanese reactors were returning to the fleet, with 20 Japanese reactors back online by 2020. However, cheap gas and coal, the rise of politically-friendly renewable energy and the costly need to extend the life of reactors had hit the industry in the West, the paper said. In the US five reactors had closed since 2012, “with potentially as many to follow”; Germany will phase out all reactors by the early 2020s; while Sweden will cut back its reactor fleet by 40 per cent. However, said Macquarie, “the combined size of these reductions is less than half of the scheduled new capacity additions” in Asia. Widespread closures in the US, despite record-low energy prices, were “unlikely”: US nuclear energy use was its highest since 2009, nuclear power was still cheaper than fossil fuel, and the focus on reducing coal usage meant uranium had become a relatively more popular source of baseload power generation. China has 26 nuclear reactors in operation and 25 under construction. But long-term plans call for 92 reactors operating by 2025 and 129 by 2030. In 2015, China approved new reactors for the first time since the Fukushima nuclear disaster in Japan in 2009, with the China General Nuclear Power Corporation receiving the go-ahead for two gigawatt reactors. China was “the only part of the world that’s really increasing reactor capacity by any large margin”, said ‎Mining and Metals Senior Associate at Citi, Matthew Schembri. But Chinese demand for the radioactive metal far outstripped supply. China only produced 1450 tonnes of uranium in 2015, far less than its 8160-tonne consumption rate. Consequently, the Chinese were trying to create “uranium independence,” said Mr Schembri, not only by producing more but also by stockpiling and buying equity shares in foreign projects. “They’re aiming for one-third to be domestically produced, one-third from foreign equity ownership in foreign mines, and one-third to be imports,” said Mr Schembri. But the world was not likely to face a shortage of uranium despite the uptick in demand, he said. Uranium has fallen from around $US152 per pound in 2007 to well under $US60 since the global financial crisis, with a low just above $US28 in May 2014. This year, it peaked around $US40 in March. It is currently trading at $US35.35, which is just off the year’s lows. Mr Schembri said that the price would return to $US40, rising to $US50 in the longer term. At these price levels, existing mines would remain viable and new ones would open, he said. Macquarie agreed, stating that “almost all mine output is cash-positive at current price levels”. Mr Schembri added that the recent Paris Climate Summit – which pledged to restrict global warming to “well below 2℃ above pre-industrial levels”, a goal that is expected to increase demand for nuclear power as countries shift away from carbon-dioxide-producing coal power – had had no effect on the uranium market or prices. “Market sentiment continues to improve as emerging economies embrace low-emission nuclear power,” said Toro. 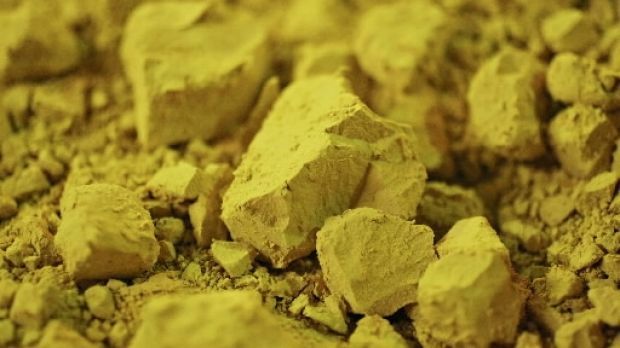 Long-term prices for a pound of uranium were around $US44-$US45, the company said, with China, India and Japan the key drivers of demand. Globally, said Toro, there were 442 reactors around the world producing 380 gigawatts of power. In 2025, this is expected to increase to 512 reactors producing 471 gigawatts. In 2030, there are expected to be 576 reactors producing 560 gigawatts. Australia, which produces 11 per cent of the world’s uranium and is the world’s third-largest producer after Canada and Kazakhstan, currently has three operating uranium mines:Ranger in the Northern Territory, Olympic Dam (the world’s largest uranium deposit) in South Australia and Four Mile in South Australia. Australian-listed uranium miners and explorers include Energy Resources of Australia, BHP Billiton, Rio Tinto, Paladin Energy, and Mintails. There are a numerous proposals for new Australian mines, including four well-advanced proposals in Western Australia alone: Lake Way (Wiluna), which Toro Energy hopes to mine; Yeelirrie and Kintyre, which Canadian uranium miner Cameco wishes to develop; and Mulga Rock, which Vimy Resources has an interest in. However, the new mines – which could create up to 1300 long-term jobs and be worth $1 billion a year to Western Australia by 2020 – have still not been formally approved and are dependent on the uranium price improving as forecast. They are also the subject of fierce opposition from environmental groups such as the Australian Conservation Foundation, while the Western Australia’s ALP opposition opposes uranium mining and export. The next Western Australian election is in March 2017. Under the terms of the agreement between Obama and some Iranian leaders, neither the US Congress nor the Iranian Parliament signed on to the deal, Iran was supposed to give up its nuclear weapons research in return for Western assistance in developing civilian nuclear facilities in Iran. Iran was also supposed to be prohibited from acquiring or developing ballistic missile technology for at least eight years (it actually wasn’t but if I start calling out Obama and Kerry on their chronic lying I won’t get anything else done). I suppose someone, somewhere, believed this agreement to be binding upon Iran its just that those people aren’t in the Iranian government. Iran has carried out a new medium range ballistic missile test in breach of two United Nations Security Council resolutions, a senior U.S. official told Fox News on Monday. “The United States is deeply concerned about Iran’s recent ballistic missile launch,” Samantha Power, U.S. Ambassador to the U.N., said in a statement after the last Iranian ballistic missile test in October. Well, so long as Samantha Power is “deeply concerned” instead of her usual state of “deeply stupid” I suppose things are under control. Last month the president sent his Energy Secretary Ernest Moniz to Vienna to twist the arm of International Atomic Energy Agency chief Yukiya Amano into issuing a favorable report on the state of the Iranian nuclear program. The yes-or-no question Amano faced was simple: Has Iran closed the military aspect of its nuclear program? Amano also hedged in his formal report to the IAEA board of governors. In paragraph 79 of the report, he states that the IAEA is in no position to categorically report that all of Iran’s nuclear program is entirely peaceful. That’s because the IAEA does not have access to all nuclear sites in the Islamic Republic. He then injects a dose of hope by reporting that Iran has “taken preliminary steps” to meet its treaty obligations. Such a cocktail of optimism and pessimism may be passable if one dealt with repairing one’s plumbing. But we’re dealing with a nuclear arsenal in the heart of the world’s most unstable region. Interesting. The IAEA can’t verify that Iran’s nuclear weapons programs had ceased to exist. Is this a surprise? Under the terms of the agreement, IAEA inspectors must give Iran 24 days notice of any inspection and “sensitive” facilities are only open to inspection by Iranian, yes, you read that correctly, inspectors. IRAN IS following through on the nuclear deal it struck with a U.S.-led coalition in an utterly predictable way: It is racing to fulfill those parts of the accord that will allow it to collect $100 billion in frozen funds and end sanctions on its oil exports and banking system, while expanding its belligerent and illegal activities in other areas — and daring the West to respond. Unfortunately, the Obama administration’s response to these provocations has also been familiar. It is doing its best to downplay them — and thereby encouraging Tehran to press for still-greater advantage. It’s not hard to guess the reasons for this fecklessness. President Obama is reluctant to do anything that might derail the nuclear deal before Iran carries out its commitments, including uninstalling thousands of centrifuges and diluting or removing tons of enriched uranium. The same logic prompted him to tolerate Iran’s malign interventions in Syria, Yemen and elsewhere, along with the arrest of Mr. Rezaian, while the pact was under negotiation. U.S. officials argue that Iran’s nonnuclear violations make it all the more important that the nuclear deal be implemented. But that ignores the clear connections between the missile launches and Tehran’s ambitions to become a nuclear power. The only practical military purpose of the missiles the regime is testing is to carry atomic warheads. And while missile launches are not prohibited by the nuclear pact itself, the separate resolution banning them remains in effect until the deal is implemented, after which a new resolution takes effect that calls on Iran not to develop such missiles for eight years. So now we have a perfect storm: no sanctions in place on Iran; Iran ignoring the agreement that they DIDN’T sign; Iran testing ballistic missiles; No verification that Iran is not developing a nuclear weapon; and an administration actively concealing the breaches of the agreement. Suddenly, I’m feeling “deeply concerned”, too. While Secretary of State John Kerry and President Obama do their best to paper over the brutality of the Iranian regime and force through a nuclear agreement, Iran’s religious leader has another issue on his mind: The destruction of Israel. A friend sent me a copy from Iran, the only place the book is currently available, though an Arabic translation is promised soon. Obama administration officials likely hope that no American even hears about it. Khamenei makes his position clear from the start: Israel has no right to exist as a state. One such principle is that a land that falls under Muslim rule, even briefly, can never again be ceded to non-Muslims. What matters in Islam is ownership of a land’s government, even if the majority of inhabitants are non-Muslims. Khomeinists are not alone in this belief. Dozens of maps circulate in the Muslim world showing the extent of Muslim territories lost to the Infidel that must be recovered. These include large parts of Russia and Europe, almost a third of China, the whole of India and parts of The Philippines and Thailand. However, according to Khamenei, Israel, which he labels as “adou” and “doshman,” meaning “enemy” and “foe,” is a special case for three reasons. He intimates that one of his “most cherished wishes” is to one day pray in Jerusalem. Khamenei insists that he is not recommending “classical wars” to wipe Israel off the map. Nor does he want to “massacre the Jews.” What he recommends is a long period of low-intensity warfare designed to make life unpleasant if not impossible for a majority of Israeli Jews so that they leave the country. His calculation is based on the assumption that large numbers of Israelis have double-nationality and would prefer emigration to the United States and Europe to daily threats of death. Khamenei makes no reference to Iran’s nuclear program. But the subtext is that a nuclear-armed Iran would make Israel think twice before trying to counter Khamenei’s strategy by taking military action against the Islamic Republic. In Khamenei’s analysis, once the cost of staying in Israel has become too high for many Jews, Western powers, notably the US, which have supported the Jewish state for decades, might decide that the cost of doing so is higher than possible benefits. Thanks to President Obama, the US has already distanced itself from Israel to a degree unimaginable a decade ago. Khamenei counts on what he sees as “Israel fatigue.” The international community would start looking for what he calls “a practical and logical mechanism” to end the old conflict. Khamenei’s “practical and logical mechanism” excludes the two-state formula in any form. Under Khamenei’s scheme, Israel, plus the West Bank and Gaza, would revert to a United Nations mandate for a brief period during which a referendum is held to create the new state of Palestine. All Palestinians and their descendants, wherever they are, would be able to vote, while Jews “who have come from other places” would be excluded. Khamenei does not mention any figures for possible voters in his dream referendum. But studies by the Islamic Foreign Ministry in Tehran suggest that at least eight million Palestinians across the globe would be able to vote against 2.2 million Jews “acceptable” as future second-class citizens of new Palestine. Thus, the “Supreme Guide” is certain of the results of his proposed referendum. He does not make clear whether the Kingdom of Jordan, which is located in 80% of historic Palestine, would be included in his one-state scheme. However, a majority of Jordanians are of Palestinian extraction and would be able to vote in the referendum and, logically, become citizens of the new Palestine. Khamenei boasts about the success of his plans to make life impossible for Israelis through terror attacks from Lebanon and Gaza. His latest scheme is to recruit “fighters” in the West Bank to set up Hezbollah-style units. “We have intervened in anti-Israel matters, and it brought victory in the 33-day war by Hezbollah against Israel in 2006 and in the 22-day war between Hamas and Israel in the Gaza Strip,” he boasts. This is what Iran’s leaders are preaching to their people and their allies in the Middle East. Do we really want to give succor? Following decades of neglect, Russian naval forces are being modernized with advanced submarines and increasingly lethal ballistic and cruise missiles, according to a report by the Office of Naval Intelligence. Following the collapse of the Soviet Union in 1991, Russia’s navy was reduced in size, and many new weapons systems were canceled while weapons were mothballed. The publication seems to be evidence of further U.S. government recognition that Russia, following its military annexation of Ukraine’s Crimea last year, is emerging as an elevated strategic threat. Russia also is proliferating advanced weapons to other countries. “The quantity and quality of the ships, submarines, and armaments sold will transform the current capabilities of recipient states and, in some cases, potentially enable them to improve the quality of indigenous arms production,” the report says. Recent sales have included Kilo-class submarines to Algeria and Vietnam, Gepard-class frigates to Vietnam, and a modified Kiev-class aircraft carrier to India. Sales of high performance Club missiles—the export version of the Kalibr family of missiles – have been underway for over a decade. “This proliferation of high grade weapons is one of the most troubling aspects of Russian Federation adventurism worldwide,” the report said. Russia’s current strategy calls for using layered defenses of long-range missiles capable of hitting targets some 1,000 nautical miles from Russian borders. The defenses are intended to counter U.S. Tomahawk long-range cruise missiles. “Russia’s wartime naval strategy remains focused on nuclear deterrence and layered defense,” the report says. The centerpiece of the Russian navy remains its missile and attack submarine force, currently made up of 56 submarines. The current fleet includes 12 nuclear missile submarines, 26 cruise-missile equipped submarines, and 18 attack submarines. A total of 31 major surface warships are currently deployed with most of the ships over 20 years old. The Office of Naval Intelligence identified submarines as Moscow’s “capital ships,” and noted that several new classes are being built and deployed. The newest submarine is what the report calls Dolgurukiy-class missile submarines, which are armed with SS-N-32 Bulava missiles with ranges of up to 5,281 miles. The first was launched in December 2013. Two others are nearing deployment and plans call for building eight submarines by 2020. The new attack submarine is the nuclear-powered Severodvinsk, launched in 2010, with eight to be deployed by 2020. Another class of attack submarine is in development and will be used to protect missile submarines. Mark Schneider, a former Pentagon strategic nuclear policymaker, praised the Office of Naval Intelligence for producing the report. “I’m glad that ONI is now looking at the Russian navy threat and publishing on it,” Schneider said. High tech weapons include laser and other directed energy weapons designed to damage or disrupt electronics through radio frequency bursts. “Russia’s long-term goal is a high-energy weapon with anti-satellite and cruise missile defense capability,” the report said. Moscow also is working on an electro-dynamic rail gun that uses electricity to fire a high-speed projectile with a muzzle velocity of 6,500 feet per second. “The near- and mid-term combustion-based technologies are a transitional step to the creation of a railgun,” ONI said. The attack submarines are capable of firing advanced cruise missiles, including the new Kalibr missile that was recently fired by Russian warships in the Black Sea against targets in Syria. “Russia plans to deploy Kalibr capability on all new … nuclear and non-nuclear submarines, corvettes, frigates, and larger surface ships,” the report said. Plans call for adding the Kalibr to old Russian ships and submarines as part of the naval buildup. Two diesel-electric submarines also are being produced, the Petersburg and Kilo submarines, and an advanced diesel electric submarine called “Kalina” is planned for 2020. The surface warship build up includes a new guided-missile corvette and four new types of guided missile frigates. A new generation of guided missile destroyer also is planned, and a new class of aircraft carrier also is being developed. For the carrier, the report identifies the new advanced fighter jet known as the PAK-FA that is in the testing phase. The report mentions the deployment of a new ocean research ship, the Yantar, which was launched in August. U.S. intelligence spotted the ship conducting surveillance of U.S. missile submarine areas and underwater cables in the Atlantic in late August and early September. The report makes no mention of the Russian autonomous underwater nuclear weapon, code-named “Kanyon,” that was revealed on Russian television. However, the report says Russia has developed advanced high-technology torpedoes, including wake-homing, high-speed “super-cavitating” devices, and a “super-heavyweight” torpedo. The torpedo can travel at speeds up to 50 knots with a detection range of up to 1.5 miles for submarines and a mile for surface ships. Ironically, though, while scientists can use the data to issue reports — the federal Nuclear Regulatory Commissioncannot use it to determine whether the plant should have its license renewed. The Nuclear Regulatory Commission only considers the threat of earthquakes or terrorism during initial licensing hearings and does not revisit the issue during relicensing. Lamont’s Sykes thinks the spokesperson must have been mistaken. “He seems to have confused the magnitude scale with intensity scale,” Sykes suggests. He points out that the plants are designed to withstand an event on the intensity scale of VII, which equals a magnitude of 5 or slightly higherin the region. (Intensity measures the effects on people and structures.) A magnitude 6 quake, in Sykes opinion, would indeed cause damage to the plant. In his new memoir My Journey at the Nuclear Brink, former U.S. defence secretary William J. Perry says threats of an attack are ‘dimly perceived’ by public. WASHINGTON—A former U.S. defence secretary is on a mission to warn of a “real and growing danger” of nuclear doom, troubled by the risks of catastrophe from the very weapons he helped develop. Atop William J. Perry’s list: a nuclear terror attack in a major U.S. city or a shooting war with Russia that, through miscalculation, turns nuclear. A terrorist attack using a nuclear bomb or improvised nuclear device could happen “any time now — next year or the year after,” he said in an interview with reporters this month. Perry, 88, chooses his words with the precision of a mathematician, which he was before entering the defence world in the mid-1950s. He played a central role in developing and modernizing nuclear forces throughout the Cold War — first as a technology whiz-kid and later a three-time senior Pentagon executive. During the 1962 Cuban missile crisis Perry was secretly summoned to Washington to analyze intelligence on Soviet weapons in Cuba. “Every day that I went to the analysis centre I thought would be my last day on earth,” he writes in a newly published memoir, My Journey at the Nuclear Brink. He says he believed then and still believes that the world avoided a nuclear holocaust as much by good luck as by good management. In the interview, he recounted a harrowing incident in November 1979 when, as a senior Pentagon official, he was awakened by a 3 a.m. phone call from the underground command centre responsible for warning of a missile attack. The watch officer told Perry his computers were showing 200 nuclear-armed missiles on their way from the Soviet Union to the United States. Perry looks at Russia’s nuclear modernization and U.S. plans to spend hundreds of billions to update its nuclear arsenal and sees irrational nuclear competition. “I see an imperative to stop this damn nuclear race before it gets underway again, not just for the cost but for the danger it puts all of us in,” he said. When the Cold War ended with the dissolution of the Soviet Union, Perry thought the world had dodged a nuclear bullet. In his first book, co-authored in 1999 with the man now running the Pentagon, Ash Carter, Perry argued that the demise of the Soviet system meant nuclear disaster was no longer an “A List” threat. By 2014, his optimism had faded, in no small part because of the collapse of co-operative relations between Washington and Moscow, which has ended any realistic prospect of new arms control agreements and, in Perry’s view, has put the two countries on a dangerous path toward confrontation. “We are facing nuclear dangers today that are in fact more likely to erupt into a nuclear conflict than during the Cold War,” Perry said in a recent speech. New York’s nuclear energy landscape is poised to shift dramatically in 2016, as it shrinks by one reactor and as the governor readies a policy that would recognize nuclear as a key bridge fuel to a renewable-powered future. At least one of the state’s six nuclear reactors may be shuttered, and Gov. Andrew Cuomo is aggressively targeting two more, both at the Indian Point facility in Westchester, for closure. A fourth faces closure in less than two years, though a new Cuomo administration climate initiative could extend its life for at least another decade. Collectively, the six reactors, housed at four plants, represent about 3,500 megawatts of power — enough to power more than 3 million homes — and contribute a third of the state’s power. As the state shifts toward renewable energy, under a mandate to power half its electrical grid with solar and wind by 2030, nuclear also supplies about 60 percent of its carbon-free power. Closing just one reactor today, before any more renewable resources are built, could worsen air pollution by almost 10 percent, a market analysis by the global investment firm UBS found. Replacing that reactor could take hundreds of wind turbines or many thousands of solar panels. But community groups are concerned about the potential for accidents, and environmentalists about the toll nuclear takes on water resources and the wildlife killed when reactors use river or lake water for cooling — particularly at Indian Point, less than 30 miles north of New York City on the Hudson River. The Cuomo administration is meanwhile targeting that facility on multiple fronts, including by rejecting its coastal certification, required by state regulators to protect waterways from development and industry. The plant’s operator, Entergy, has won the battle over that certification so far, but the fight is expected to come before the state’s highest court in early 2016. Should Entergy lose before the Court of Appeals, it could be forced to cut a deal to close the plant in the next decade. Both of Indian Point’s licenses are now expired, and whether to renew them — a process expected to take years — is largely up to the federal government. But the state has a say in a few key steps in that process, and it’s using it to pressure Entergy into closing Indian Point. In November, Jim Malatras, Cuomo’s director of state operations, asked the federal Nuclear Regulatory Commission to oppose the plant’s relicensing, citing “embrittled reactor pressure vessels and fatigued metals on key reactor components” and saying there was no safety evacuation route for the 20 million people living within 50 miles of it in case of a serious accident. But the NRC hasn’t flagged that as an issue that should lead to the plant’s closure. Earlier this month Saudi Arabia’s young and inexperienced Defense Minister announced a military coalition made up of nearly three dozen mainly Sunni Muslim-majority states, stretching from Morocco to Bangladesh. The Saudi-led alliance’s stated purpose is to defeat global terrorism in five nations: Afghanistan, Egypt, Libya, Iraq and Syria. This followed months of increased pressure from Western officials on Gulf Arab nations to fight Daesh (‘Islamic State’) more forcefully. However, given the conflicting interests and lack of military experience on the part of the coalition’s members, there is ample reason to conclude that this alliance lacks substance. The Saudi-led ‘coalition’ includes Bahrain, Bangladesh, Benin, Chad, Comoros, Cote d’Ivoire, Djibouti, Egypt, Gabon, Guinea, Jordan, Kuwait, Lebanon, Libya, Malaysia, Maldives, Mali, Mauritania, Morocco, Niger, Nigeria, Pakistan, Palestine, Qatar, Senegal, Sierra Leone, Somalia, Sudan, Togo, Tunisia, Turkey, UAE and Yemen. A number of these nations are failed states or just above that classification, beset by their own civil wars, Islamist insurgencies, and endemic corruption. Several are among the world’s poorest countries. For a variety of reasons, the announcement of this so-called ‘coalition’ was bizarre and surprising. The leaders of Pakistan – one of Saudi Arabia’s most important allies – never officially agreed to join, and learned of their purported membership from news organizations. Similarly, Malaysian officials also expressed reservations and ruled out the possibility of Kuala Lumpur making any military contribution to the alliance. Saudi Arabia and several other Gulf Arab states took part in the U.S.-led campaign against Daesh in September 2014. However, the Gulf Cooperation Council (GCC) members’ contributions to the campaign were insignificant and came to an end after the coalition’s initial missions were completed. Like Saudi Arabia, the smaller GCC members, particularly the UAE, have shown a deeper commitment to fighting the Houthi rebel movement in Yemen (viewed in Riyadh and Abu Dhabi as an extension of Iranian influence) in Yemen than to combatting Daesh in Iraq and Syria. It is unlikely that the GCC members’ priorities will change in light of Riyadh’s announcement. Among the Saudi allies with relatively powerful militaries – including Turkey, Egypt and the UAE – it is doubtful they will cease to pursue their own respective interests, which certainly conflict. Ankara’s top priorities in Syria entail toppling the Assad regime and preventing the Syrian Kurds from establishing a proto-state governed by a Kurdistan Workers Party (PKK) affiliate group along Turkey’s southern border. Overwhelming evidence demonstrates that NATO member Turkey has actively supported Daesh’s sale of oil to the global markets in order to advance these two objectives. Moreover, the stated objectives of this coalition are vague. Aside from Daesh, which other ‘terrorist’ groups in these five countries will this pan-Sunni alliance combat? Where will the intelligence to combat them be derived? Which countries in this coalition will deploy most of the troops? How many troops will be required to be effective? Although many of these coalition members have combatted extremist groups unilaterally, the task of defining terrorism will be problematic if they are to effectively fight such organizations within the framework of a NATO-like alliance. Among these 34 states there is ample disagreement as to which non-state actors are ‘terrorist’ organizations. Turkey, Sudan and Qatar support the Muslim Brotherhood across the Middle East and North Africa (MENA) region. Yet Egypt and the UAE consider the Islamist movement to be a terrorist organization. Saudi Arabia and other members of this coalition consider Hezbollah and other Iranian-sponsored Shi’ite militias in Syria and Iraq to be terrorist organizations. Given that these groups (along with the Syrian and Iranian militaries, and Kurdish fighters) serve as the most effective fighting force against Daesh, will the Saudi-led military coalition combat both Hezbollah in addition to the Daesh fighters? Certainly, the objectives of the coalition are unclear and most likely highly unrealistic. All of these questions leave one wondering why Riyadh bothered to make this surprising announcement. The answer has to do with Iran, not Daesh. Given that Saudi Arabia’s coalition deliberately omitted the ‘axis of resistance’ (Iran, Iraq, Syria and Lebanese Hezbollah), Riyadh is determined to create a pan-Sunni alliance committed to countering Iranian influence in the Arab world. The declaration of this alliance underscores new geopolitical realities in the Middle East, in which Washington left the Saudi leadership with the impression that the U.S. had abandoned much of its commitment to the kingdom’s security in favor of a rapprochement with Iran, Riyadh’s archrival. Saudi officials undoubtedly came to believe that they had little option to but to rely on itself and its perceived allies to establish a Sunni Muslim equivalent of NATO to provide a counter weight to Tehran. The absence of a serious commitment on the GCC’s part to fight against Daesh has been a source of frustration for many in Washington and other Western capitals. The Obama administration and members of the U.S. Congress may issue statements expressing support for this anti-terrorism alliance led by Saudi Arabia. Yet both President Barack Obama and his successor will find Riyadh to be an awkward and highly problematic ally in the battle against groups such as Daesh. Given the history of the kingdom’s religious establishment promoting anti-Shi’ism and other forms of religion-inspired bigotry, there is little reason to wonder why Saudi Arabia has more of its own citizens fighting on behalf of Daesh than any other nation in the world (apart from Tunisia). Most Americans have a reasonable chance of experiencing a destructive earthquake within the next 50 years, the US Geological Survey (USGS) has concluded. The survey’s new National Seismic Hazard Map show that the risk of earthquakes in parts of the country — such as the Midwest, Oregon and the Rocky Mountains — is far higher than previously thought. All total, Americans in one-third of the country saw their risk for an earthquake increase. The earthquake danger in parts of Missouri, Arkansas, Tennessee, Illinois and South Carolina is as high as that in Los Angeles. 42 of the 50 states have a reasonable chance of experiencing a damaging earthquake in the next 50 years. The USGS used new computer modeling technology and data collected from recent quakes such as the one that struck Washington, D.C. in 2011 to produce the new maps. The maps show that many Americans who thought they were safe from earthquakes are not. The earthquake danger in Oklahoma, Alabama, Colorado, Georgia, Indiana, Michigan, Virginia, New York and parts of New England is higher than previously thought. Some major metropolitan areas, including Memphis, Salt Lake City, Seattle, St. Louis and Charleston, have a higher risk of earthquakes than previously thought. One of the nation’s most dangerous faults, the New Madrid fault, runs right through St. Louis and Missouri. It is the nation’s second most active fault. On Dec. 16, 1811, the New Madrid Fault was the site of the most powerful series of earthquakes in American history. There are at least four active earthquake faults in the United States that are at risk for major quakes. The Ramapo fault runs right under New York City; in 1884 there was a 5.2 earthquake in Brooklyn. A map of operating Nuclear Reactors prepared by the US Nuclear Regulatory Commission shows that there are nuclear power plants located in the regions that are most at risk for quakes. There are four nuclear reactors located near the New Madrid Fault alone. There are two nuclear reactors at Indian Point just north of New York City and the Ramapo fault. “Obviously the building codes throughout the central U.S. do not generally take earthquake risk or the risk of a large earthquake into account,” USGS Seismologist Elizabeth Cochran told The Journal. Her take: Earthquake damage in the central US could be far greater than in places like California, because structures in some locations are not built to withstand quakes. “Earthquakes are quite rare in many places but when they happen they cause very intense damage because people have not prepared,” Mark Petersen, the project chief for the USGS’s National Seismic Hazard Map, told The Journal. This new map should be a wakeup call for Americans.